The Web Marketing Association judges will select the best email advertising campaigns in 86 industries as part of their 16th annual Internet Advertising Competition (IAC) Awards. The IAC Awards are the first and only industry-based advertising award competition dedicated exclusively to online advertising. Companies or agencies wishing to nominate their work for consideration may do so at www.IACward.org before the deadline of January 31, 2018. “Email marketing is the workhorse of online marketing for many companies trying to maintain an ongoing relationship with customers and prospects,” said William Rice, president of the Web Marketing Association. “The creative used in an email marketing campaign has gone from text only to highly personalized ads targeting highly segmented lists. Each email advertisement and campaign will be judged on creativity, innovation, impact, design, copywriting, and use of the medium. 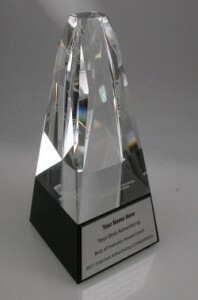 The IAC Awards provides an opportunity to find out who is doing an outstanding job creating email advertising. It’s also a great marketing opportunity for the winners to promote their work to senior management, customers and prospects their outstanding work”. The 2018 Internet Advertising Competition Awards will accept entries from 86 industries, including airline, biotech, B2B, consumer goods, education, health care, financial services, professional services, technology and travel just to name a few. Entries judged to be outstanding will receive an IAC Award. The entry receiving the highest score in each industry will be recognized as the best email advertisement for that industry. 2011 Coffey Anderson – Email campaign – CDMG Inc.
2013 Marketing Results Holiday Email – Marketing Results, Inc.
2011 e-Dialog 2010 Holiday Card – e-Dialog, Inc.
2010 e-Dialog 2009 Holiday Card – e-Dialog, Inc. The 2018 Internet Advertising Competition Awards are open to all organizations and individuals (advertising and interactive agencies, corporate marketing departments, etc.) involved in the process of developing Internet advertising. Entries may be submitted online at http://www.iacaward.org. The deadline for entry is January 31, 2018 and will be judged on creativity, innovation, impact, design, copywriting, and use of the medium. Judging for the IAC Awards will take place in February, 2016. Judges will consist of a select group of Internet advertising professionals with an in-depth understanding of the current state-of-the-art in Web advertising. Past competition judges have included top executives from leading corporations, institutions and media organizations such as Arc Worldwide, Brunner Digital, Campbell-Ewald, CNN News Group, Deep Interactive Asia, Digitas, EuroRSCG 4D, Google, IBM Interactive, imc2, JWT, LeapFrog Interactive, Mass Transmit, McCann Worldgroup, Razorfish, Starwood Hotels & Resorts, Tectis GmbH, TMP Worldwide, Universal McCann Interactive and Wunderman / Y&R. The 2018 Internet Advertising Competition Awards are sponsored by iContact, PR.Com, EContent Magazine, WebMaster Radio and Website Magazine.